This single-level home rests in the center of Marin County's highly sought-after Kentfield Gardens neighborhood. 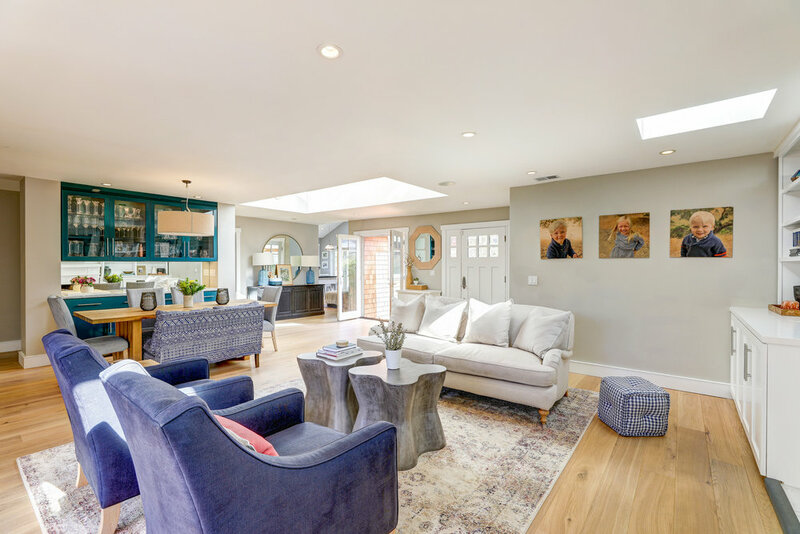 The beautifully remodeled residence with unparalleled comfortable sophistication offers luxury and tranquil living with the finest design, materials and craftsmanship. 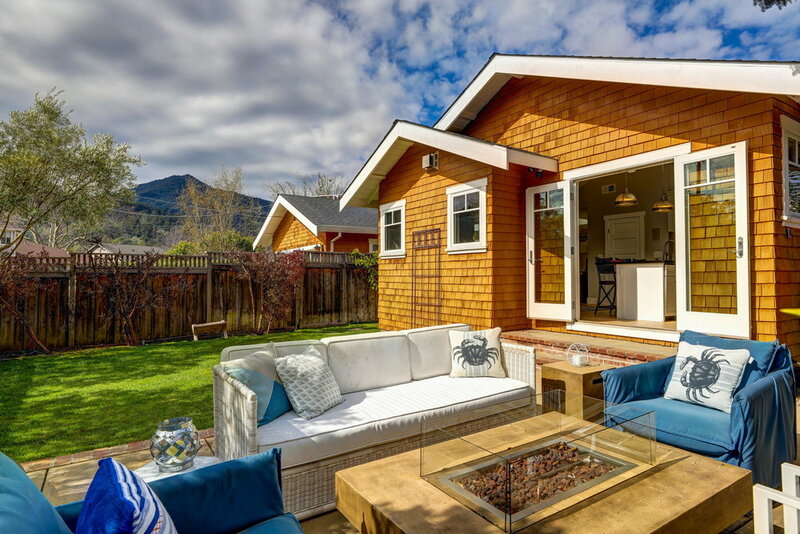 Enjoy the ease of single-level living with an amazing indoor-outdoor flow and views of Mount Tamalpais. With 4 bedrooms and 2 full bathrooms, 42 Berens has a great, multi-functional layout with two living spaces. Upon entering the home, you are greeted by the beautiful living room with a wood-burning fireplace, built-ins, soaring skylights and a dining area with a built-in buffet. 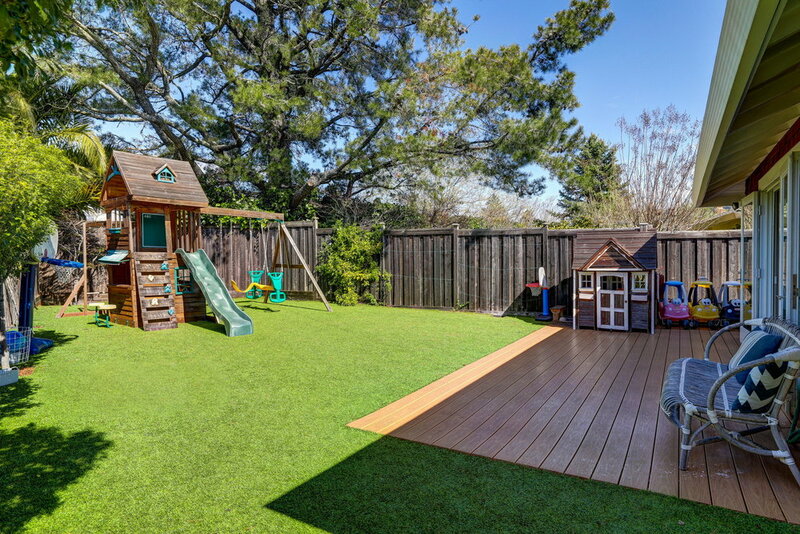 This room enjoys its own access to the amazing level backyard with a play structure. 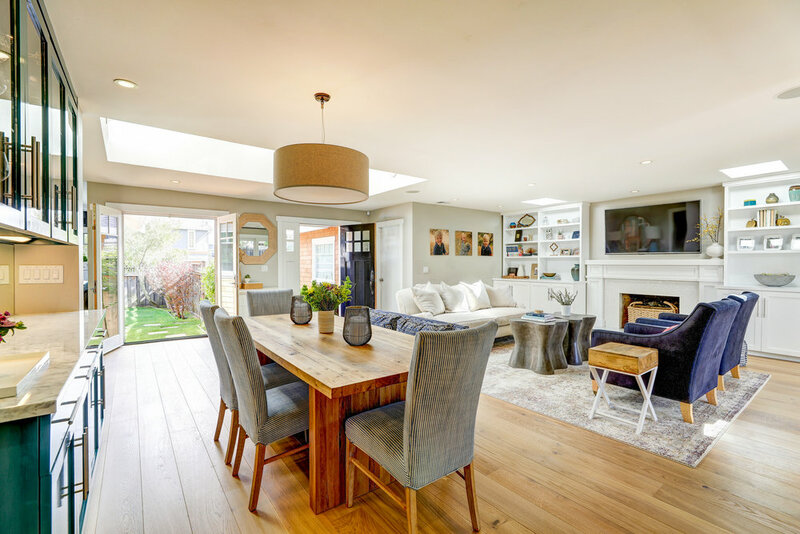 Adjacent to the living room/dining area is the light and bright kitchen/family room with a vaulted ceiling. The chef's kitchen is equipped with a Wolf 4-burner + griddle cooktop, Thermador built-in double oven, Sub-Zero side-by-side refrigerator/freezer and is stylishly outfitted with classic white shaker and glass-paneled cabinetry, beautiful honed Carrara marble countertops and a large center island. The kitchen is ideally located for easy indoor-outdoor access to the expansive front yard with a level lawn, fire pit and a water feature. Additional features include a Thermador dishwasher, a U-Line under-counter beverage center, a main sink + prep sink and a walk-in pantry. The master suite is ideally located at the back of the home with its own set of French doors leading to the level backyard. 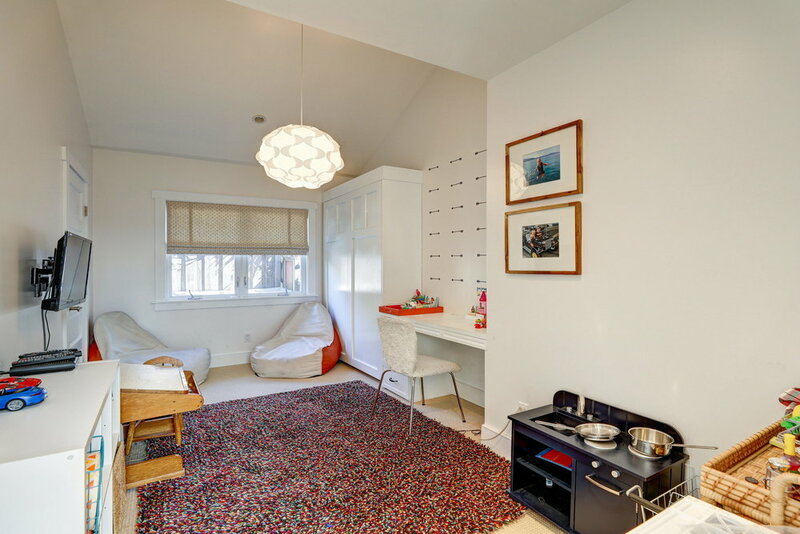 Bright and private, this room features a walk-in closet, an additional wall closet and beautiful built-in wood drawers. The spa-like master bathroom is sure to please with Carrara marble tile floors with marble mosaic, double vanity with Carrara marble counters, a large marble shower, heated floors and a built-in medicine cabinet. 42 Berens enjoys the rare offering of a level backyard and a very private, fenced in front yard. The front yard is easily accessed right off of the kitchen/family room and features a level lawn, a large patio, a fire pit and a peaceful water feature. The backyard features a great outdoor dining space and a large turf lawn with a play structure. This is the ultimate entertaining property! 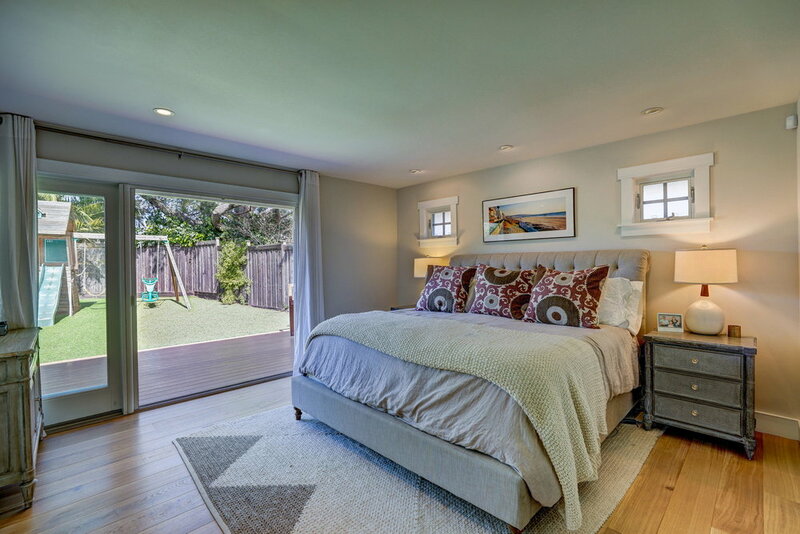 Located in the heart of the most sought-after neighborhood in Marin | Kentfield Gardens. 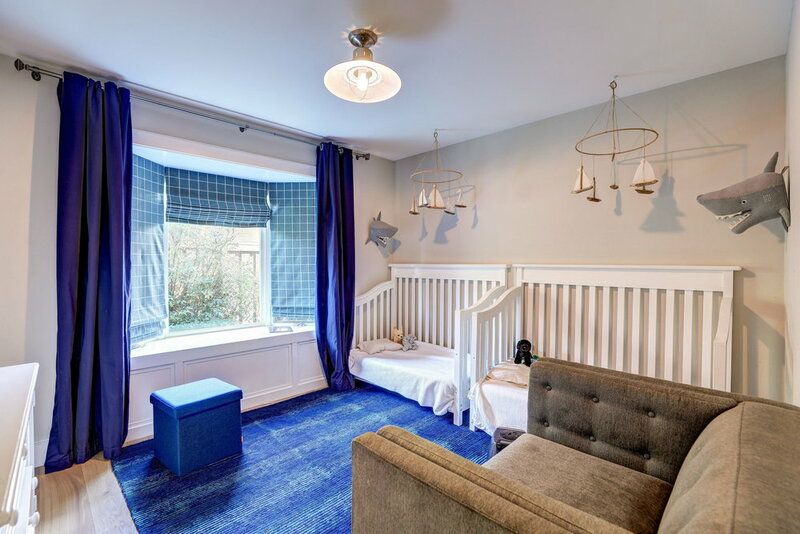 While the property enjoys everything one would expect on a private, flat lot, the family-friendly neighborhood offers the tight-knit community you cannot find in other areas of Kentfield and surrounding towns. Flanked by Bacich Elementary on one side of the neighborhood and Kent Middle on the other side of the neighborhood, kids can walk to and from school on sidewalks and without getting on a main road. From the yearly little league parade, school parades, the Marin Halloween mecca all on McAllister Avenue and the famous "Flamingo Friday" neighborhood potlucks every Friday night from Spring to Fall, Kentfield Gardens is the true definition of community. Kentfield Gardens is ideally located in the heart of the Ross Valley and is within close proximity to many amenities, sure to satisfy the discriminating buyer looking for convenience. In addition to being close to the award-winning Kentfield Schools, 42 Berens also enjoys easy access to Hal Brown ("Creekside") Park, the Corte Madera Creek Bike Path, public transportation (Golden Gate Transit #24 to the San Francisco Financial District and the free shuttle to the Golden Gate Ferry to the Port of San Francisco), Woodlands Market and Café, Half Day Café, Rustic Bakery, the soon-to-open Guest House restaurant (formerly Ambrosia), world-class hiking|biking trails, The Bay Club Ross Valley Swim and Tennis club and so much more. There is truly no better place to call home. Home is NOT in a flood zone!